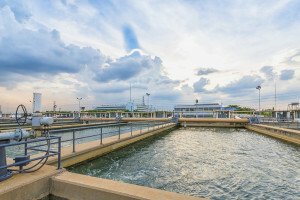 Over 75% of the United States population is serviced by centralized wastewater collection and treatment systems. They keep our water safe for drinking, and free of any contaminants that might have found their way in. Examples of contaminants are things like harmful bacteria, minerals and toxins from farming equipment that seeped into the water supply, and other such industrial pollutants. All across the nation, and the world, water treatment containers are being created and treatment plants are being set up. Fresh and drinkable water is in growing demand as the world’s population grows, and some nations find themselves unable to find sources large enough for their population. It is said that nearly 40% of the lakes in America are too polluted for activities like fishing or swimming, or even the life in them. That’s a lot of wasted drinking water. And that’s why wastewater treatment is so important to millions of Americans. Collecting and caring for wastewater, purifying it, takes a lot of water treatment containers. You need a lot of large capacity water tanks, holding tanks to separate fresh water from wastewater, and a lot of tools and purifying substances. In the United States alone, approximately 34 billion gallons of wastewater is treated every day. However, there are 1.2 trillion gallons of untreated water injected into U.S. water supplies annually. That means that you need enough wastewater storage tanks for billions upon billions of gallons of water. It would cost billions of U.S. dollars to accomplish this, an estimated $180 billion to be exact. Wastewater tanks don’t just come in large, industrial tanks, however. And you don’t need a massive treatment facility to treat water. There are home options that work for many homeowners that rely on well or rain water. Residential water treatment containers work on a smaller scale, purifying a few hundred gallons at a time. Generally these work by introducing chlorine or other substances to the water supply, and filtering out all the contaminants. Then, following that, the system filters out the chlorine and other harmful chemicals. Other systems use different methods, but this is the most common. If you have any questions regarding water treatment or water treatment containers, please contact us. We’ll be happy to assist you.